Hardap Dam is a dam close to Mariental, 260 km south of Windhoek, Namibia. First envisaged in 1897, Hardap Dam is currently Namibia's largest dam with a capacity of 320 million cubic metres (420,000,000 cu yd) and a surface area of 25 km2 (2,500 ha). Construction began in 1960 and the dam was completed in 1963. 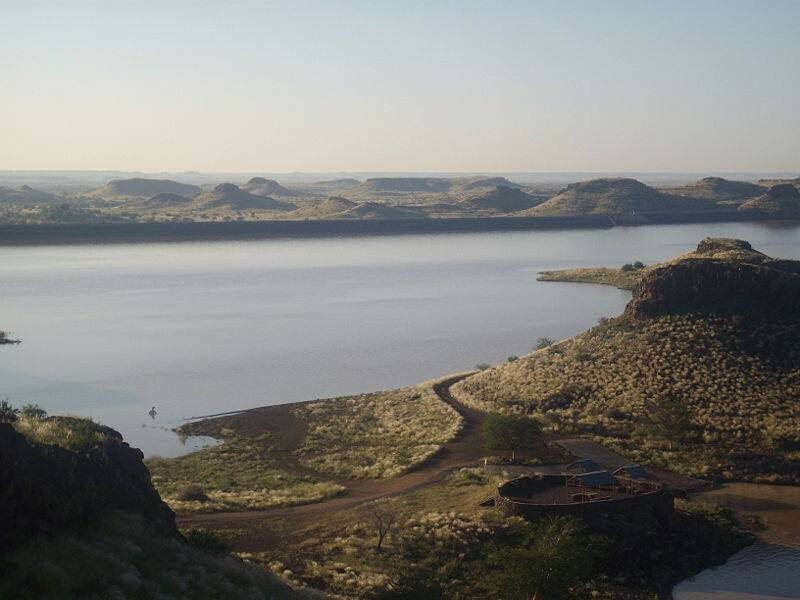 Hardap Dam supplies Mariental and the surrounding settlements with potable water. Its location close to the city, however, also poses a danger of flooding it when sluices have to be opened fully due to good rains in the Fish River's catchment area. Before the dam was built, Mariental was flooded in 1923 and 1934. Floods after the commissioning of the dam occurred in 1972, 1974, 1976, 2000, and 2006. Since then, the dam's water level is kept at a maximum of 70% of its capacity to prevent both an overflow and an uncontrolled outflow through fully opened sluices. After a four-year period of renovation the dam's recreational sites have been reopened. Activities at the dam include swimming, fishing, and bird watching. There is a restaurant and a shop.